Jennifer is responsible for the leadership and overall direction of Agency Ingram Micro's (AIM) activities. 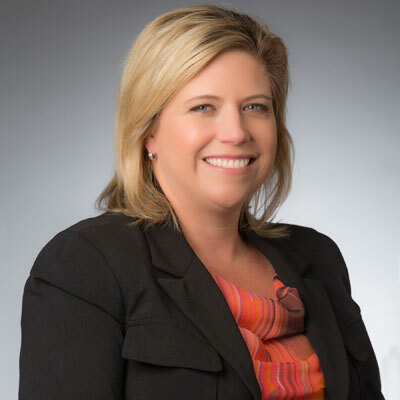 With nearly two decades of marketing experience, 11 of which have been spent working with, and for, Ingram Micro, Jennifer is regarded as one of the "Most Powerful Women in the IT Channel" by CRN Magazine. Her career accomplishments include leading the development of Ingram Micro's Partner Smart brand as well as spearheading several strategic communications initiatives that included successfully launching the company's award-winning Creative Services and Events agency. She holds a degree in Journalism and English from the University of Southern California and resides with her husband and two daughters in Tustin, Calif. AIM's marketing services have and continue to enable our vendor partners to market to and through solution providers more effectively. Simultaneously, we've built services that empower our solution provider partners to clearly define, develop, brand and market their value to end-users more effectively. There's no denying that content and digital marketing services are influencing the way the channel and its customers learns about and adopts new technology solutions. We are focused on helping our channel partners tell their story in a relevant way that resonates and makes it easier for them to really own and differentiate their value. The buyer's journey is changing rapidly in the tech industry. As such, we are educating and enabling channel partners to capitalize on it with effective marketing. Pairing the right message with focused digital content and an integrated marketing approach changes the conversation and drives action. As a company, our goal is also to help shorten the sales cycles for our solution providers, and in turn, shorten sales cycles across the channel. Marketing is one of the many ways we are doing this and as testimony to our success, channel partners who engage Agency Ingram Micro are growing faster and in strong double-digits. AIM is working closely with Ingram Micro's "Go-to-Market" team to demonstrate the resources, relationships and results Ingram Micro is able to bring to channel partners as they enter the digital economy and navigate through the hundreds of solutions and choices available to them. AIM is also enabling Ingram Micro to better market its unique position as an indispensable business partner and share the success stories and best practices of its channel partners to inspire greatness in others and ultimately speed the sales cycle. In 2016, I was honored with an Orange County Business Journal Women in Business nomination, named a CRN Women of the Channel and recognized by CompTIA for serving as a Chairman of the Distribution Advisory Council. These honors were presented to me as a result of my continued efforts to lead by example, advocate for greater diversity in the workforce and inspire other woman to pursue a career in IT. My role on CompTIA's Advisory Council was a result of Ingram Micro's industry leadership and ongoing relationship with CompTIA and shared vision for advancing the IT industry forward. Indra Nooyi, CEO of Pepsi. I admire her because she seems very transparent and not afraid to speak her mind and truly be herself. She has a lot of integrity with not only how she has run Pepsi but her philosophy on life and how she is personally navigating it. She walks the talk and I like that! I also admire that she has been a CEO of a large corporation for 10 years - a long time when it seems CEOs change often and not an easy job for any CEO but I would imagine especially as a women. Go for it because anything is possible in this industry. People think tech has certain requirements of knowledge or aptitude in the sciences, math and engineering fields, but there is a lot in the technology sector that can be done without that background. And if you do have a background in that area - embrace it and run with it. There are so many opportunities for women in STEM that can help bring a different perspective. Tech is permeating every part of our lives and we need people to embrace all that the industry has to offer. Sandra Bullock in the Blind Side. She's amazing - such a strong, beautiful, tough and kind woman. Buenos Aires, Argentina. I would love to go there (and am hoping to go later this year!) because of its Old World meets New World feel, rich history, incredible people and phenomenal food. I love that it's a European city meets Latin culture, and the city's love for showcasing its culture in the arts, museums and theater. And of course, Mendoza is not far for some spectacular wine tasting - it's got everything I want in one city!